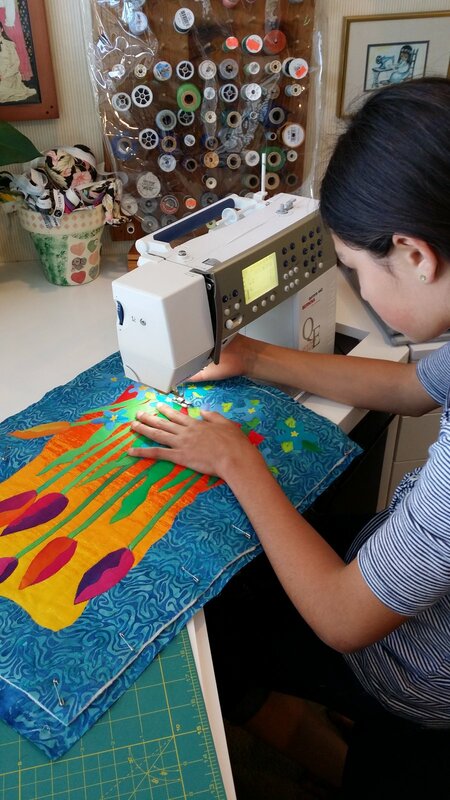 I received this fabulous email the other day from Jan H.
My granddaughter Jasmin, age 12, wanted to make a small quilt during her spring break in March so chose to make the one from your book Fun, Fast Fusies. TULIPS. 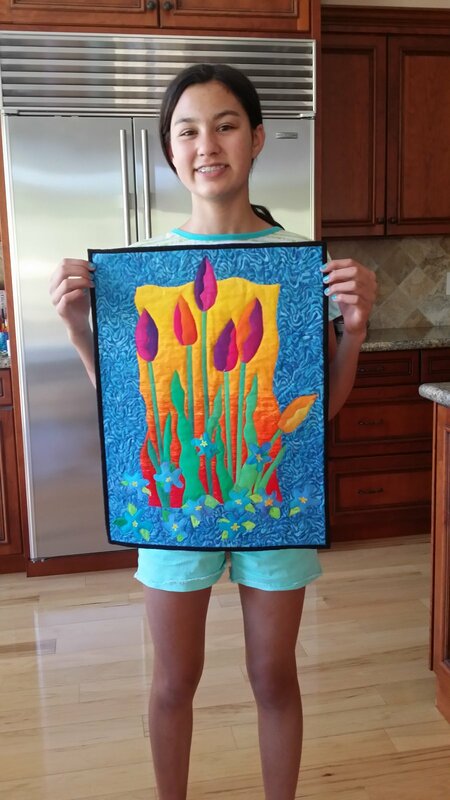 She loved making the quilt and it proudly hangs in her room. WHAT A WONDERFUL job Jasmine did. I am so proud of her. I think she will have a life long love of making quilts.